NaturallyCurly user kayleigh.lew used this recipe to nurse her damaged curls back to their original state of bounciness, and luckily for us she shared it with the NC community. "After years of forcing my hair straight and a long illness that caused significant hair loss, my curls were in extraordinarily bad shape. I had not only altered the curl type/texture of my hair (I was a frizzy 2c at that point), but my color was looking dull and my hair felt like straw. I altered a recipe that was given to me and after using it just twice, my hair was back to the bouncy curls (3a/b) that I hadn't had for years! I recommend this to ANYONE with damaged hair/fuzzy, undefined curls. My mom was absolutely amazed to see me with the curls I had as a little girl again." 3 tablespoons extra virgin coconut oil: made up of a class of saturated fatty acids that promote hair growth from its scalp moisturizing properties. Coconut oil also reduces breakage because the oil adds to the strength of hair shaft, which is great for high porosity hair. Hair Therapy Wrap: helps the ingredients to penetrate the follicles in the scalp. Melt the coconut oil in a saucepan on very low heat. 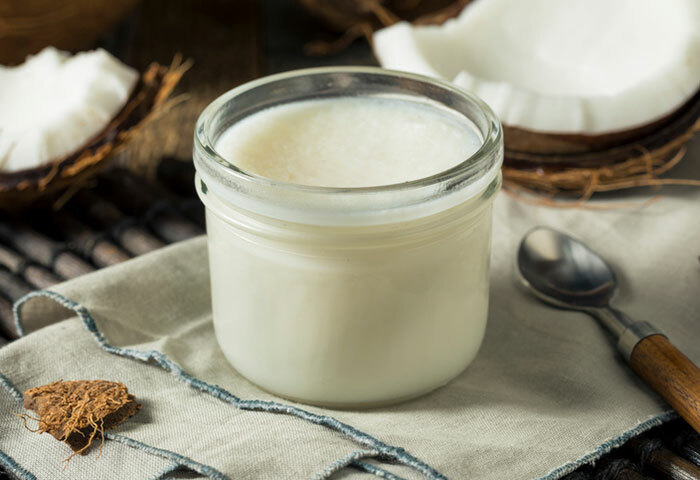 Coconut oil melts at 76 degrees fahrenheit, so it will not take much heat at all to change from liquid to solid. Pour it into a bowl, add the honey and mix. You may have to work at it, as these two don't easily mix. Whisk in the egg yolks, and add the essential oil at this point if you wish. The mask does not smell bad if you don't add any fragrance! Apply the mixture to your wet hair from ends to roots. Put on a Hair Therapy Wrap, alternatively you can warm a towel in the microwave and wrap your hair in it. CurlTalk member Sweet Curly shares "People say not to use heat when using eggs but I didn't have any problem." Wait 45 minutes, or for damaged hair you can leave the treatment in overnight (just wear a shower cap). Editor's note: This article was originally published in 2015 and has been updated to incoroporate reader feedback.